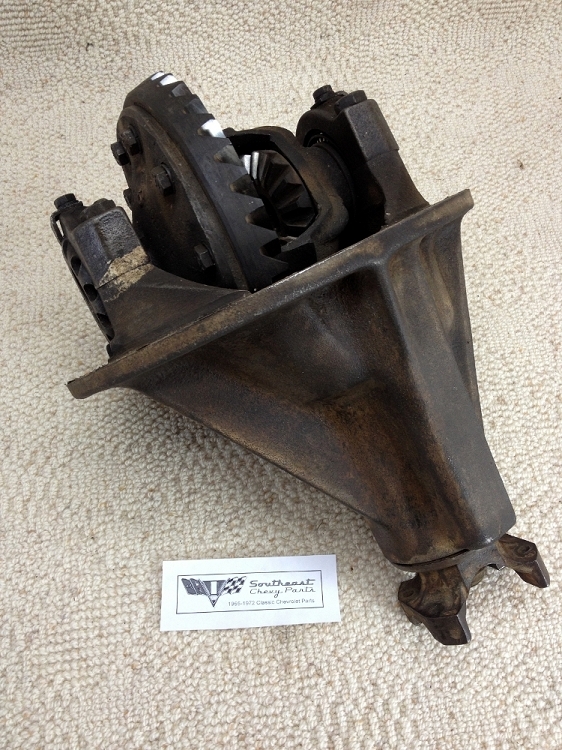 This 1955-1956-1957-1958-1959-1960-1961-1962-1963-1964 Chevrolet 3.70 rear end center section is an original used two-pinion type with cast arma-steel housing. The 10-bolt differential fits all passenger cars. We have inspected the ring and pinion so as to ensure minimal ware and tare on the differentials that we sell. Occasionally we pull in a positraction unit but most rear ends are the standard differential.